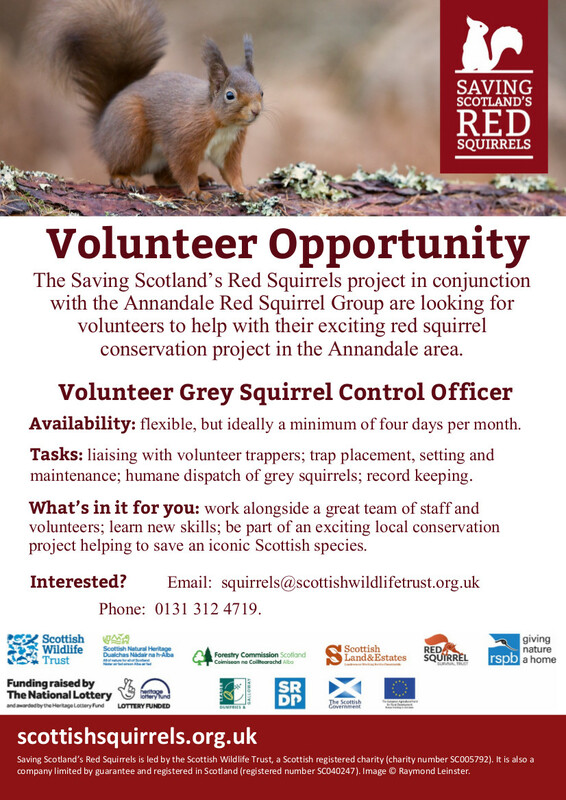 The Saving Scotland’s Red Squirrels project in conjunction with the Annandale Red Squirrel Group are looking for volunteers to help with their exciting red squirrel conservation project in the Annandale area. Availability: flexible, but ideally a minimum of four days per month. maintenance; humane dispatch of grey squirrels; record keeping . project helping to save an iconic Scottish species.